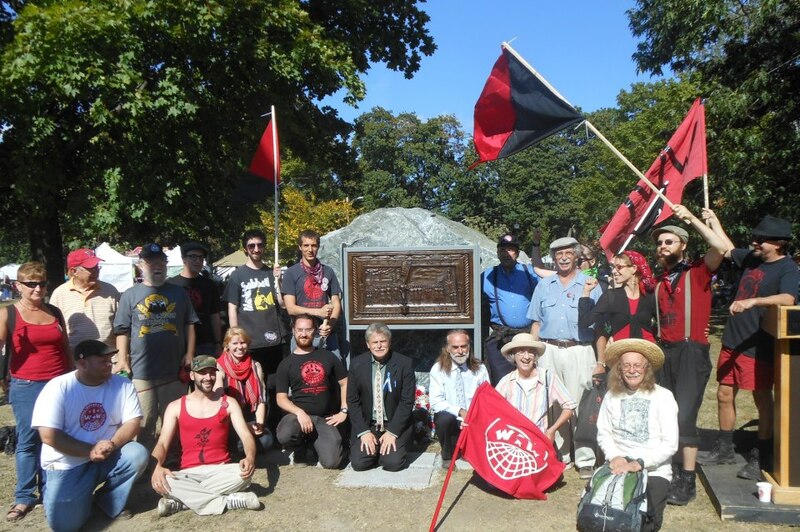 The Southern Maine IWW will be hosting a table at the Bread and Roses Heritage Festival this Labor Day, Monday, September 3rd, in Lawrence, Massachusetts. We’ll be bringing merchandise for sale and information for free, and we’ll also be signing up new members to the union. “The Bread and Roses Heritage Festival is a celebration of the ethnic diversity and labor history of Lawrence, Ma. This annual festival is celebrated on Labor Day in order to honor the most significant event in Lawrence history: the 1912 Bread and Roses Strike. We memorialize the event with a variety of music and dance, poetry and drama, ethnic food, historical demonstrations, and walking and trolley tours, all on or starting from Lawrence’s Common. We also host organizations continuing the struggle for social justice today. Bread and Roses is the only broadly multicultural festival in Lawrence, the Immigrant City. And it is the only festival in the region, which celebrates the true spirit of Labor Day, in the most appropriate location, the site of the Bread and Roses Strike. The festival is a one-day ‘open air’ celebration. The date for this year’s celebration is September 3, 2012 and historically runs from 12 to 7pm. Thank you to everyone who attended, organized, volunteered, performed, donated, and supported the 2011 Bread & Roses Festival!